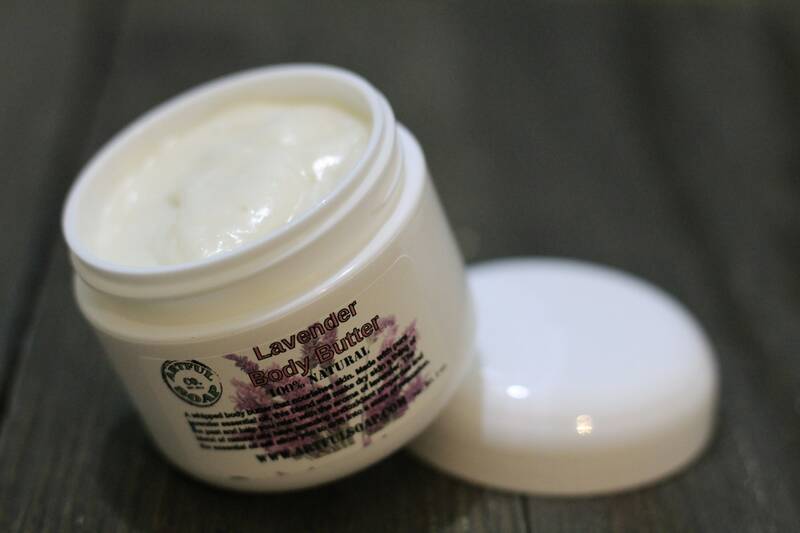 A whipped body butter that nourishes skin. Made with pure lavender essential oil, this blend will make dry skin a thing of the past and help you relax with the aroma of lavender. The blend of natural oils have amazing antioxidant properties and the essential oil will allow you to drift into a state of relaxation. Bug Repellent: The smell of lavender essential oil is potent for many types of bugs like mosquitoes, midges, and moths. 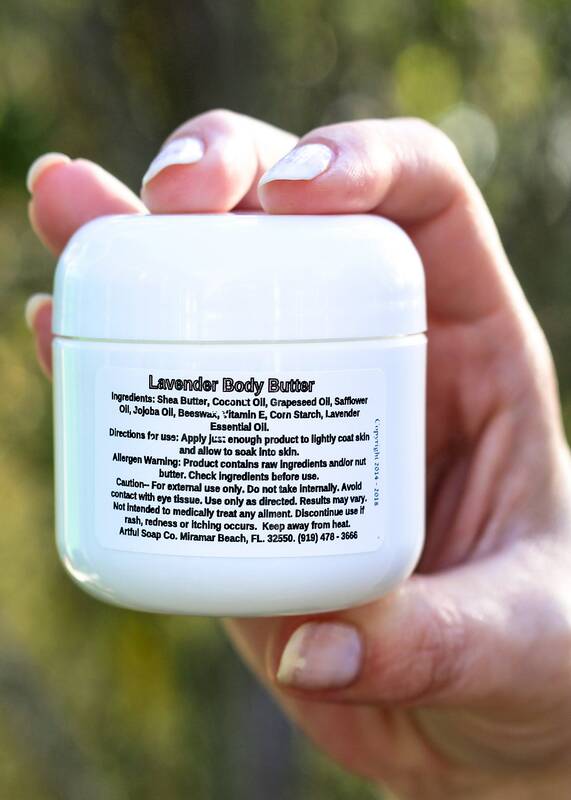 Furthermore, if you do happen to be bitten by one of those bugs, the lavender essential oil has anti-inflammatory qualities that will reduce the irritation and the pain associated with bug bites. Sleep: Lavender essential oil induces sleep which has made it a common recommendation for an alternative treatment of insomnia. It has such a relaxing impact on people that it can often replace other practices used for sleep issues. Nervous system: Lavender essential oil has a calming scent which makes it an excellent tonic for the nerves and anxiety. Therefore, it can also be helpful in treating migraines, headaches, depression, nervous tension and emotional stress. The refreshing aroma removes nervous exhaustion and restlessness while also increasing mental activity. It has a well-researched impact on the autonomic nervous system, which is why it is frequently used as a treatment for insomnia. Acne: According to dermatologists and aromatherapists, lavender essential oil is one of the most beneficial oils in the treatment of acne. 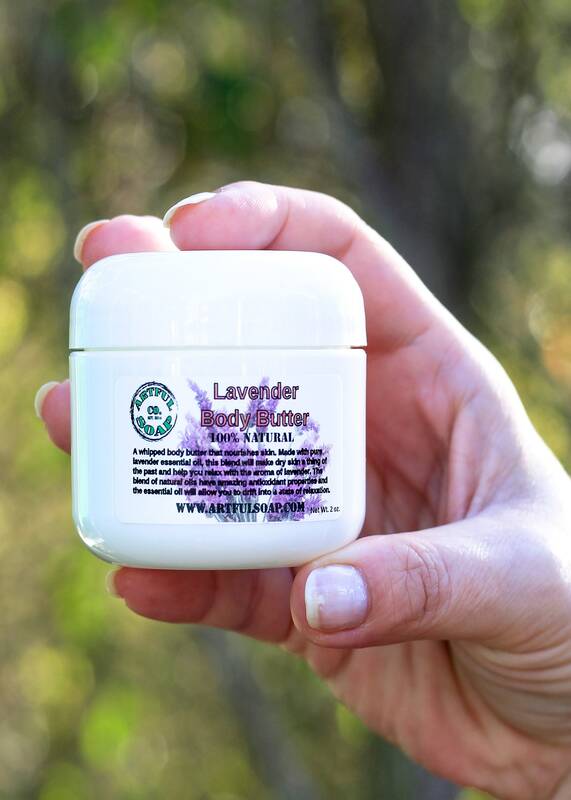 Lavender essential oil inhibits the bacteria that cause the initial infection, helps to regulate some of the over-excretion of sebum by hormonal manipulation, and can reduce the signs of scarring after the acne has begun to heal. Hair care: Lavender essential oil is useful for hair care because it has been shown to be very effective on lice, lice eggs, and nits. Furthermore, lavender essential oil has also been shown to be very helpful in the treatment of hair loss, particularly for patients who suffer from alopecia, an autoimmune disease where the body rejects its own hair follicles. A Scottish study reported that more than 40% of alopecia patients in the study reported an increase in hair growth when they regularly rubbed lavender essential oil into their scalp. Therefore, lavender oil is sometimes recommended as a preventative measure for male pattern baldness! *information above obtained from OrganicFacts.net. 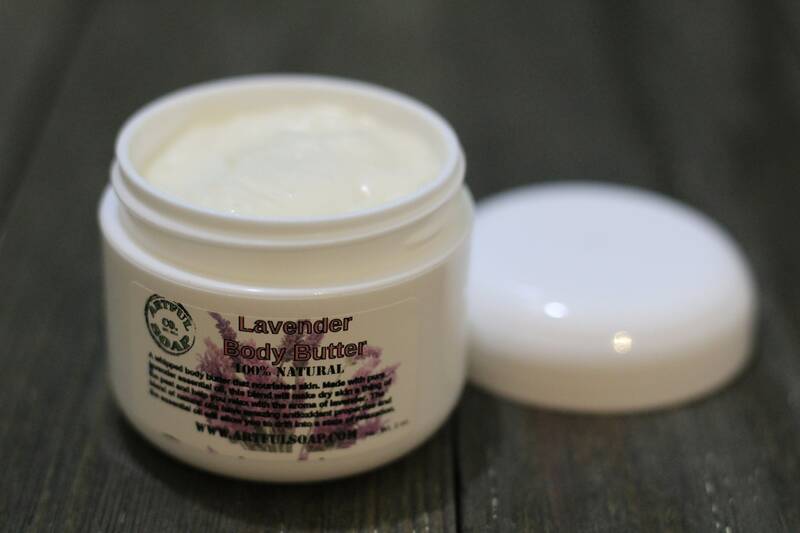 Ingredients: Shea Butter, Coconut Oil, Grapeseed Oil, Safflower Oil, Jojoba Oil, Beeswax, Vitamin E, Corn Starch, Lavender Essential Oil. 2 oz net wt.